Due to numerous inquiries, we’ve decided to showcase the tallest waterfalls that we’ve personally visited in our travels. One critical definition to make clear here is that “tallest” refers to the cumulative height of the waterfall. We have a separate list for waterfalls with the tallest leap. I have to admit that I’ve been critical about any World’s Tallest list because there’s no consensus as to how waterfalls are defined (i.e. when a waterfall begins and ends, how long it must flow to count, etc.) and even fewer have been accurately measured (with the clinometer and rangefinder combo along with some trigonometry). 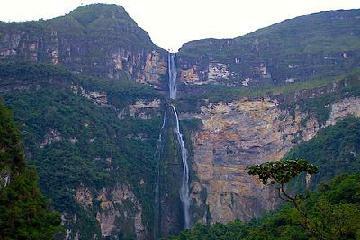 So it’s extremely difficult to come up with a definitive list of tallest waterfalls. Indeed, those lists that are already out there can easily be picked apart by someone who has actually been to the waterfalls that can make that judgement call or provide solid scientific evidence for their inclusion or exclusion. That’s why we’re limiting this list to just the ones we’ve seen. And as you can imagine, it’s certainly not easy to put together this list even for the ones we have been to! 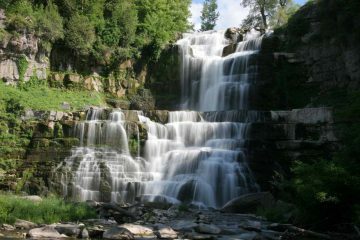 So we’ve relied on our judgment, estimates from the World Waterfall Database, and some local input. Moreover, to narrow down this list a bit more, we’ve added an additional criteria that the waterfall must flow reliably and with appreciable volume on average for at least 6 months out of the year, year after year. Hopefully, this eliminates some of those seasonal waterfalls that some might say do not count as legitimate waterfalls worth giving special attention to. For a while, we had left this falls off the list because we bought into initial estimates that this falls was “only” 455m tall. However, we brought it back on this list after combining the latest findings from the Norgeskart (formerly Norgesglasset) with our field observations. For reasons we’ve described later on this writeup, we’re going with a tentative height of 560m, which qualifies this mysterious waterfall on this list. This Kiwi wonder on the South Island just makes this list with a cumulative height of 580m over three distinct leaps. Sourced by a lake in an area that is well known for being rainy for much of the year, there’s no doubt about its permanence. 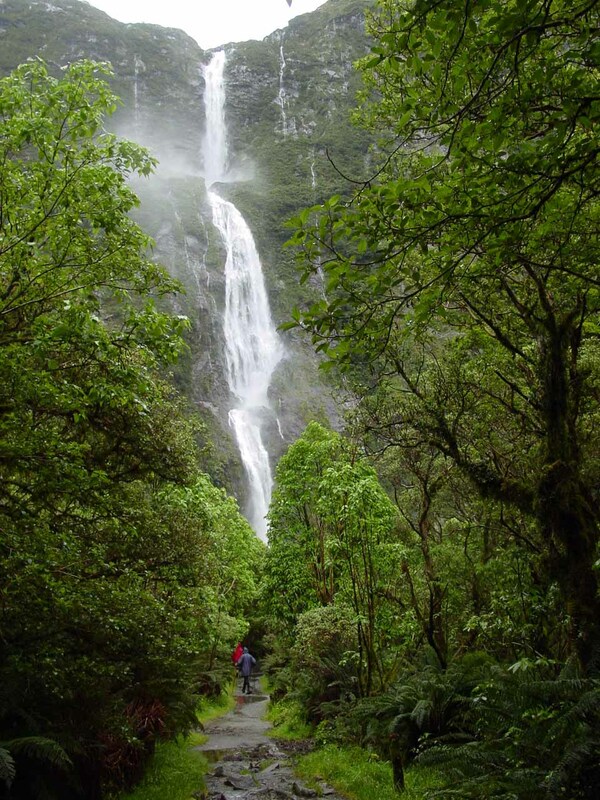 Thus, it’s widely regarded as New Zealand’s most beautiful waterfall. In order to see it, you’ll have to embark on an overnight trek to see it by foot or have some serious luck with the weather so you can see it from the sky! 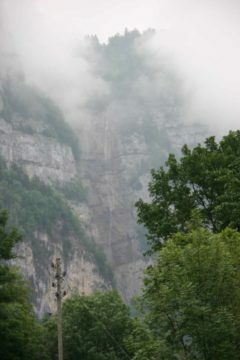 This monster cascade drops over a cumulative height of around 612m. I can vouch for this measurement after inspecting the topographic map at Norgesglasset (Norway’s online Topographic Map courtesy of Statens Kartverk). Sourced by the massive Folgefonn Glacier (Folgefonna), there’s no question this waterfall is legit as it’s very wide and tumbles down the length of the mountainside into the Åkra Fjord (Åkrafjorden), which is at sea level. Oh yeah, the scenic allure of this waterfall is quite good, too! This side creek that tumbles some 2,140ft (about 652m; corroborated by TOPO! 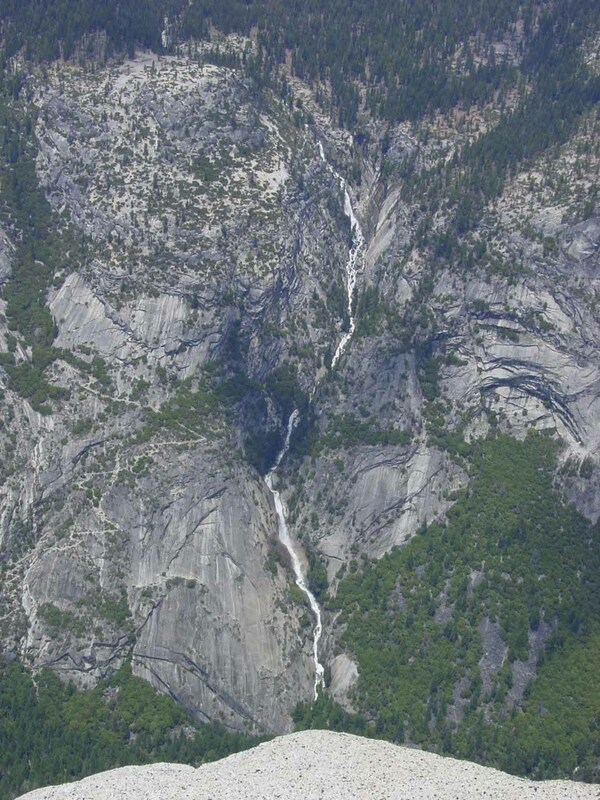 California ) into Tenaya Canyon in Yosemite National Park, is one of the more elusive waterfalls in the park. In fact, if you want to see the whole drop of the waterfall in one go, you’re gonna have to summit Yosemite’s iconic Half Dome. Perhaps one of the better excuses to do the strenuous trail for waterfalls if you ask me! 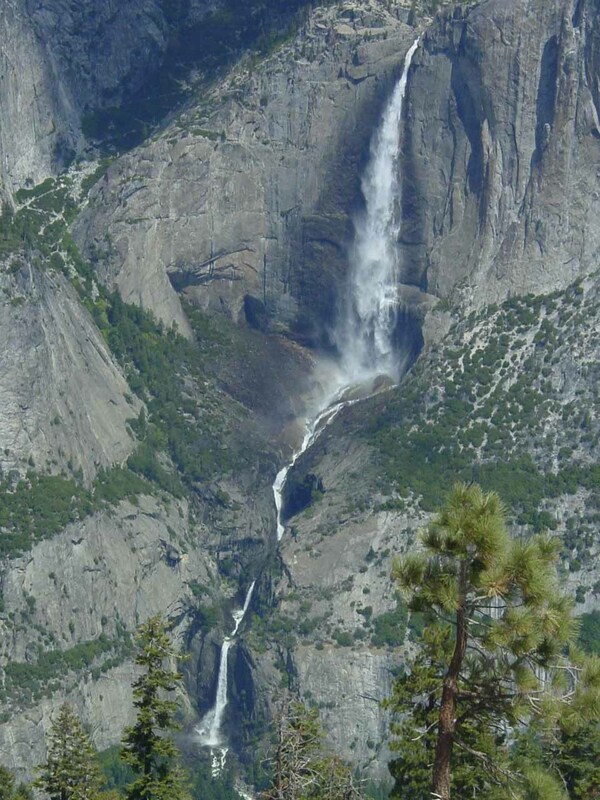 This is certainly one of the taller waterfalls in North America though whether it’s the tallest is highly disputable depending on who you talk to. Dropping over two mighty leaps with cascades sandwiched in between, it has a cumulative height at a widely reported and accepted 2,424ft (or 739m). Statistics aside, it’s the crown jewel of attractions in the incomparable Yosemite Valley, and perhaps rivals Half Dome and El Capitan as iconic symbols of Yosemite National Park. 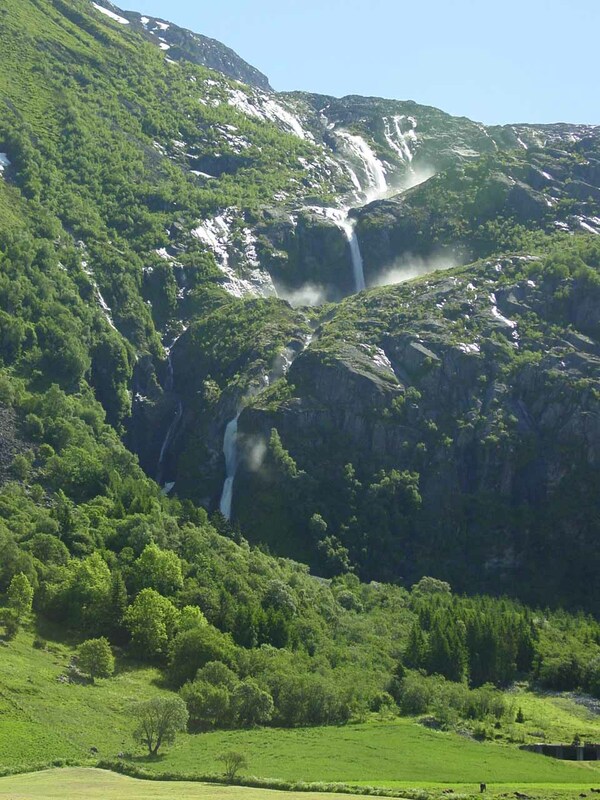 Tumbling in multiple strands into the steep Nærøy Valley (Nærøydalen), this is often regarded as one of the tallest (if not the tallest) cumulative-drop waterfalls in Norway. Its statistics (which we can kind of vouch for by Norgesglasset inspection) gives this one a height of 755m or 2,477ft. 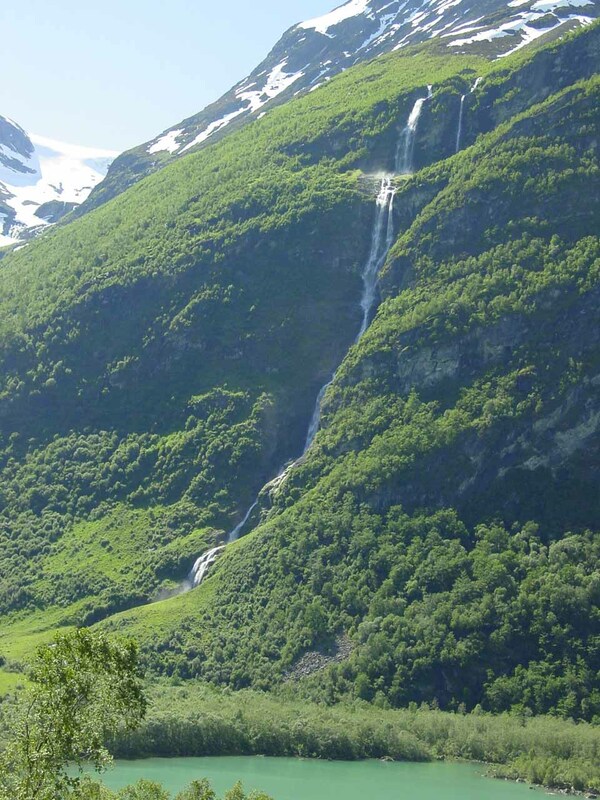 You can appreciate the context of how it tumbles down the mountainside when viewed from the Stalheim Hotel Terrace, but you can find a pullout near the base of the waterfall for a neck-cranking look at the falls itself. 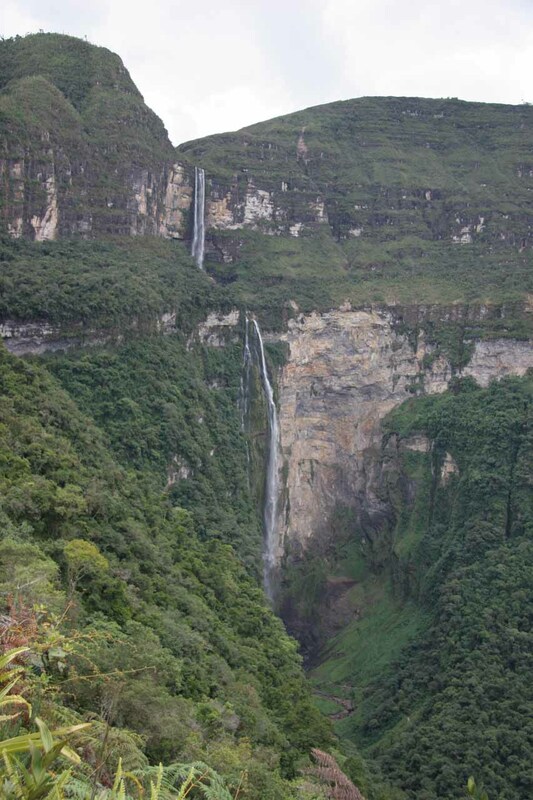 Measured by the Ziemendorf expedition party and corroborated by the National Geographic Society in 2006 at a cumulative height of 771m (2,531ft), this is definitely one of the taller legitimate waterfalls in the world and is perhaps the pride of the Chachas people of Northern Peru. The falls actually consists of a 230m upper drop followed by a 531m lower drop (making this one also one of the taller free-leaping waterfalls in the world) so it certainly holds it own statistically no matter which way you slice and dice it. 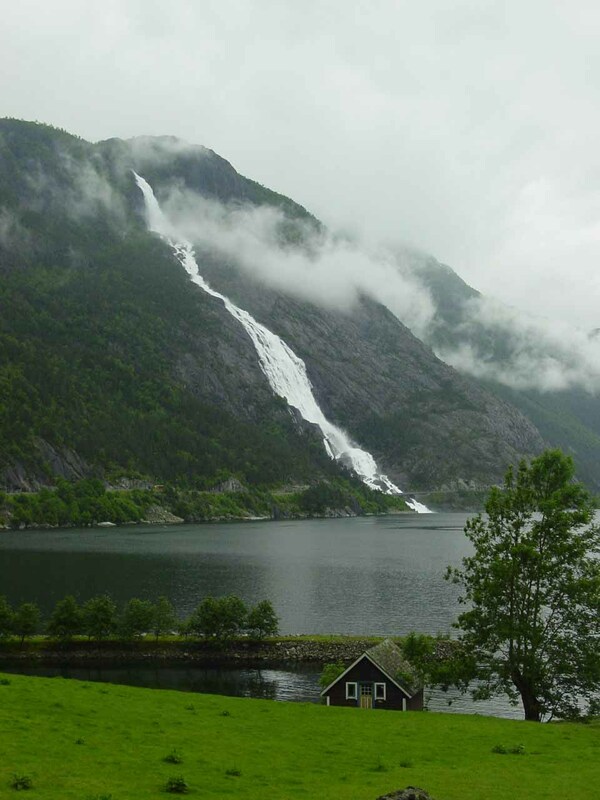 This towering waterfall falling from glaciers into the lake Lovatnet can easily be overlooked as another run-of-the-mill tall waterfall in Norway. However, after finally gaining some traction in its height measurements thanks to added features to Norgeskart by Statens Kartverk, we can finally lend some credibility to the claims that it’s 818m (2,685ft) tall. I think a return trip here is in order to get better views, take our time, and come prepared with a clinometer/rangefinder combo to settle the science once and for all. Aside from statistics, as you can see from the photo, it’s certainly a feast for the eyes. 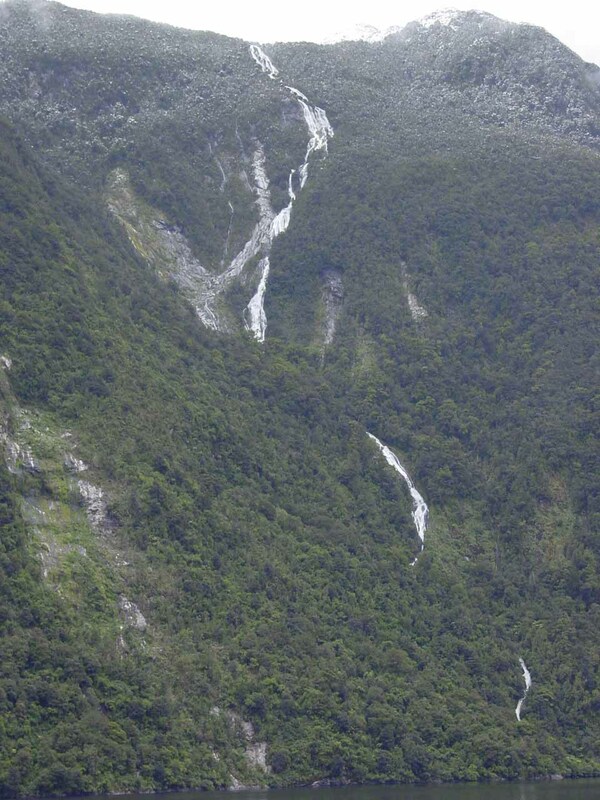 This long cascade draining Lake Browne and dropping into the Doubtful Sound has been the subject of many conversations regarding whether it’s the tallest in New Zealand or not. Well, based on examining the NZMapped GPS Topographic Map (which itself is derived from Land Information New Zealand data), it’s conceivable that the falls tops off at the reported 836m (2,744ft) though there have been published brochures saying the falls is 619m (possibly the first 200m or so of its drop is sloping stream before making the steep cascade). Now this waterfall blends in with many of the other cascades you might find in the Doubtful Sound so even identifying this guy is a challenge unless you knew exactly what you’re looking for. 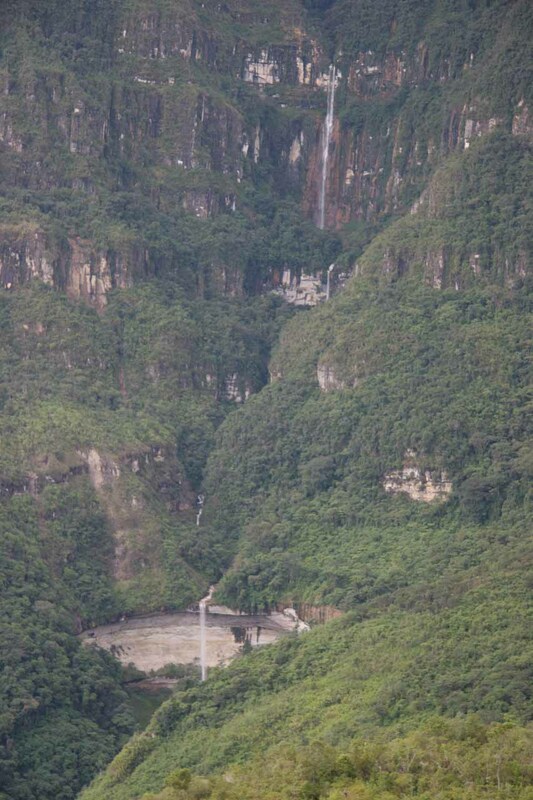 So far this waterfall has stood the test of time and debate as being the consensus tallest waterfall on earth! 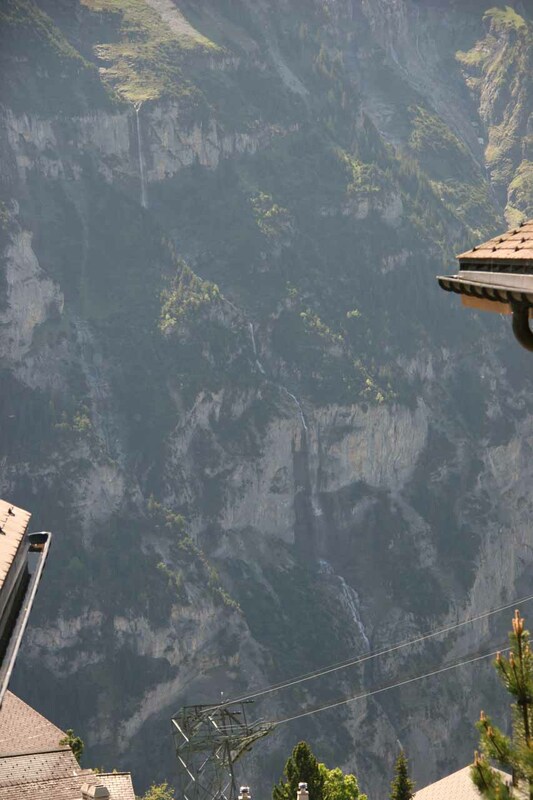 Statistically speaking, it has a cumulative height of 979m (3,212ft). 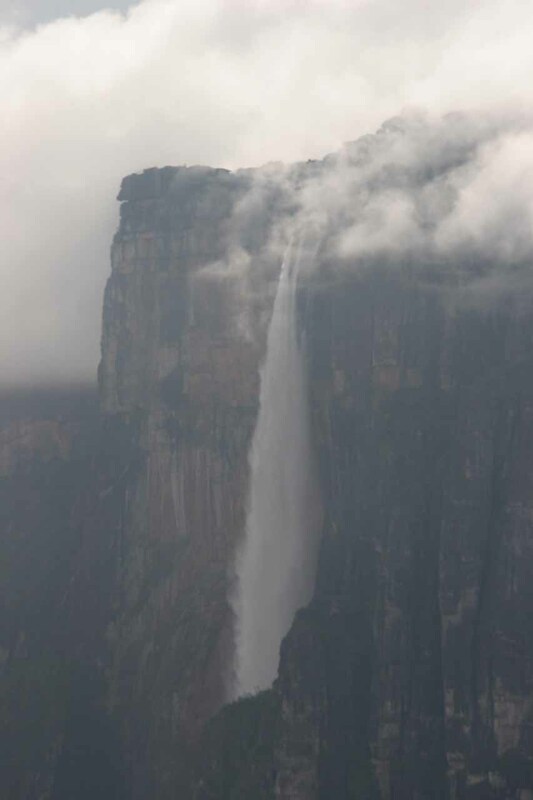 It leaps off the Auyantepui, which itself is an isolated plateau collecting rain at its soggy, mysterious top, and thus the presence of this waterfall is a miracle and an oddity in and of itself! If you’re looking to gaze upon this world wonder, be aware that clouds frequently cover its top so patience and a little luck is needed to get the view you want. First off, it looked like Statens Kartverk in Norway improved their online topographic map (was previously called Norgesglasset, but is now just Norgeskart). A key feature they added was to be able to plot out elevation profile, which now makes height estimations paired up with field observations that much more effective. 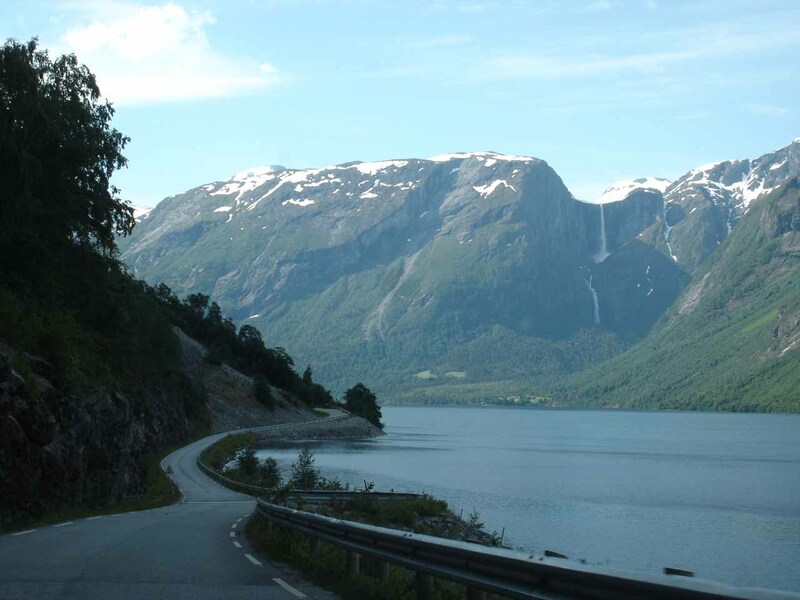 So given that, we took out Strupenfossen despite its reported height of 820m (2,690ft). That’s because we looked into Norgeskart and its drop of nearly 1000m runs over 2km with significantly smaller steep drops. That seems to agree with our field observations in that there were about three much smaller drops and the rest were more or less hidden or just insignificant streams. Døntefossen, which was reported to be 700m (2,296ft), was also left off the list. 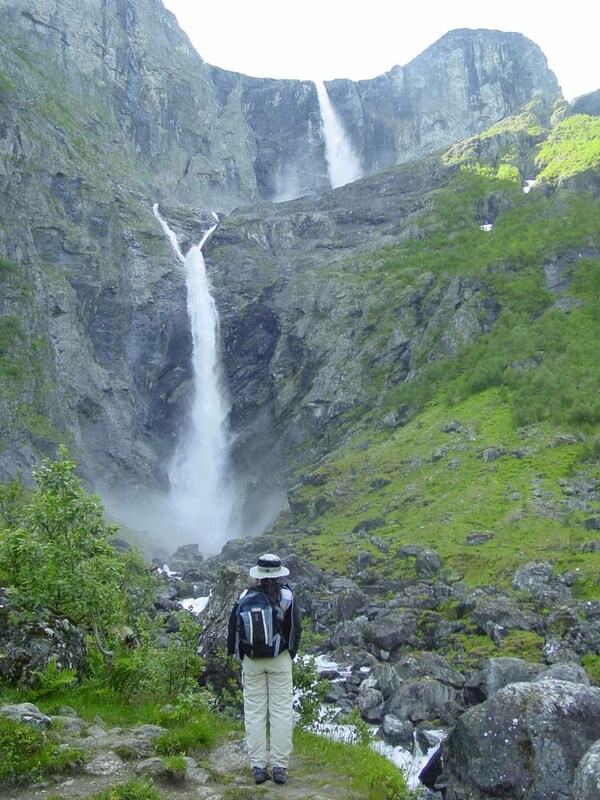 That’s because a Norgesglasset inspection revealed that the waterfall profile was really more along the lines of 450m with maybe some additional height if you’re counting streams with much less slope both above and below the main elevation loss. It’s interesting to note that our original estimate of 476m (600m contour line subtracted by 124m contour line) wasn’t that far off of this latest estimate. Seerenbach Falls, which was measured to have a cumulative height of about 585m (1,919ft) was left out because we don’t think it would pass the longevity test. 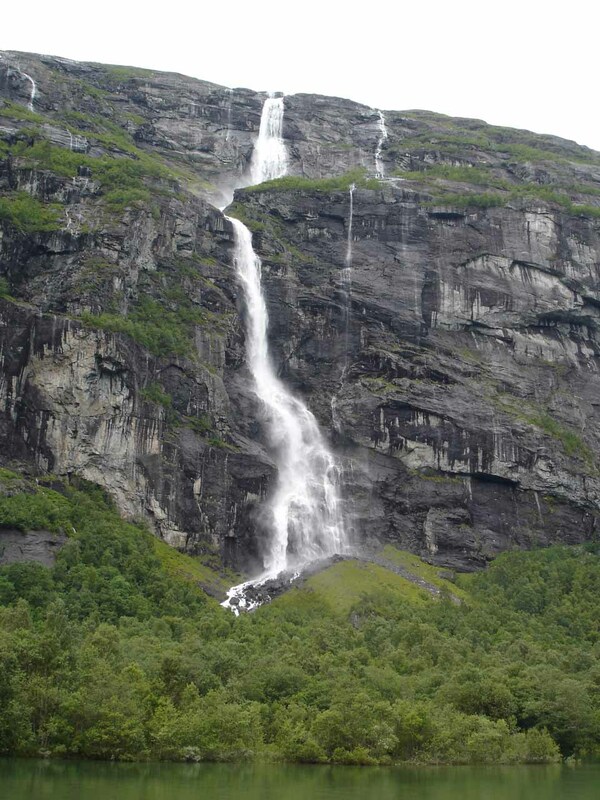 In other words, we don’t think it has a long enough season to count amongst the major waterfalls in terms of height. Other waterfalls that were left off the list (namely the Hawaiian ones) were left off because most of them don’t last long enough to be reliably seen. And again, if you’re wondering why Tugela Falls isn’t on here, it’s because we didn’t visit it yet (thereby disqualifying it from this list). Besides, without seeing it in person, we can’t make any field observations allowing us to at least have a chance at determining the waterfall’s longevity and especially elevation profile to verify claims about its height. Just to throw a wrench into things, we re-examined the status of Skrikjofossen, which was said to be “only” 455m (1,493ft) tall. However, upon closer inspection of the new and improved Norgeskart (formerly Norgesglasset) with the height profile feature, we saw that you can make a strong case for its overall height to be on the order of 560m. Moreover, it can easily be as much as 600m or more (due to a little bit of ambiguity regarding the elevation loss in the “skog” or wooded area) as a result of indeed hidden cascades that should (or shouldn’t count) as part of the overall drop. I’m afraid that’s really a judgement call since other waterfalls have been getting the benefit of the doubt regarding the inclusion of cascades in the vicinity of the main drop(s). It’ll have to be one of those cases where field measurements will apply the science needed to resolve these judgment calls and ambiguities. So until that happens, we’ll go with the tentative figure of 560m. Recently, we removed Catarata de Yumbilla from this list because we doubt it passes the more stringent longevity and volume test (i.e. 6 months of appreciable volume on average every year). 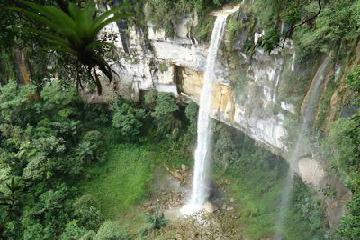 Also under this requirement, we removed other waterfalls like Sentinel Falls and Catarata de Chinata from consideration. 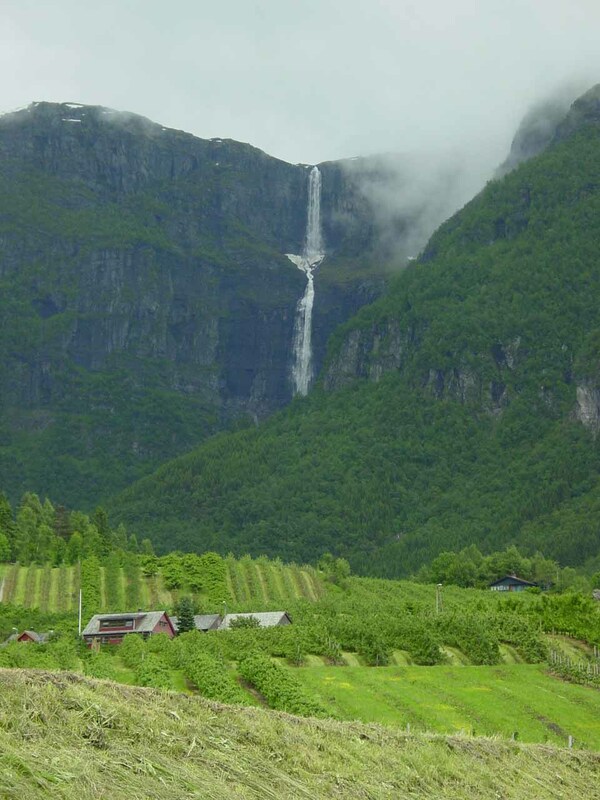 Another recent omission was Mardalsfossen. That was because it no longer fulfills the 6-month longevity and volume criteria we’ve recently imposed. 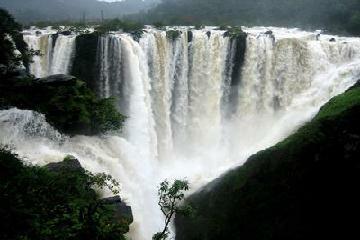 This waterfall has been regulated and only allowed to flow ostensibly from June 20 to August 20 (i.e. the Summer tourist season). Even though we were fortunate to see it flow in late June or early July of 2005, it can only be reliably seen for 2 months out of the year. 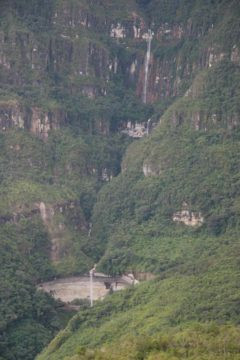 Nonetheless, when it does flow, it’s still impressive as it’s said to have a cumulative height at around 656m, and its tallest of its two leaps is roughly 297m (though some have reported its tallest leap is 358m but one needs to be careful about the middle cascades between the two main leaps). Those figures would’ve put this waterfall on this list as well as the other Top 10 Tallest Waterfalls list we’re maintaining. 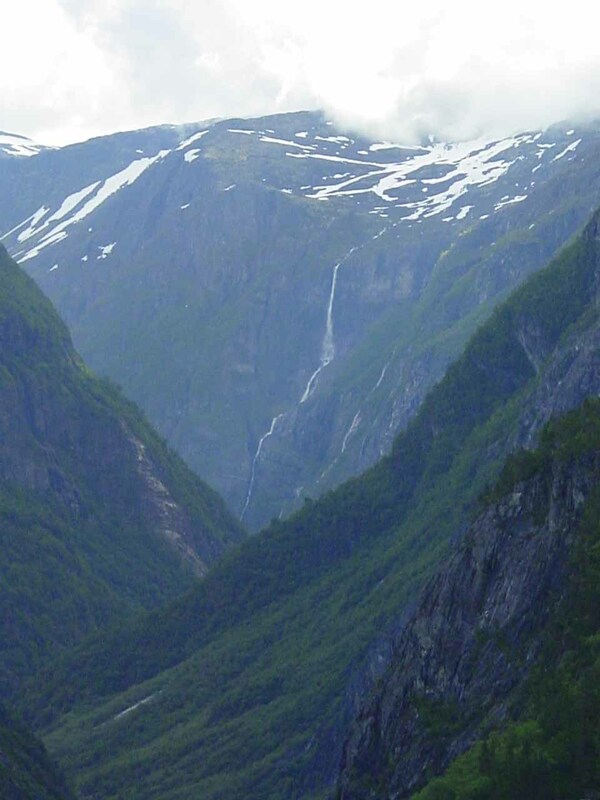 An interesting case is Ramnefjellfossen or (Utigardsfossen). 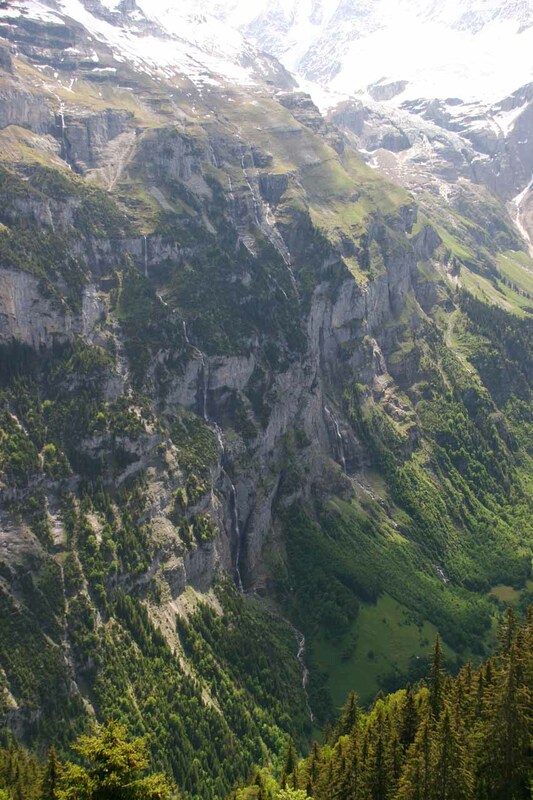 I had previously left it off the list because I had expressed skepticism about its reported height of 818m (2,685ft). Then, from re-examining Norgesglasset, we saw that its height profile definitely lent some credibility to the lofty 818m figure. Combining this new finding with our field observation, we decided to bring it back to the list. But its position won’t be definitive until we apply the rangefinder/clinometer combo to put some science into this once and for all. Finally, after a trip to the Lauterbrunnen Valley in Switzerland, we noticed a handful of waterfalls tumbling from heights that are an appreciable fraction of the peaks surpassing 13,000ft (meaning these cascades from top to bottom could conceivably have fallen over 4,000ft or more). These waterfalls seemed to have enough volume for them to be considered more than ephemeral waterfalls (i.e. they have nowhere near the volume of say Angel Falls, but probably have similar durations to say Ribbon Falls in Yosemite). Should these waterfalls count? Even though most of them don’t seem to have names except maybe one stream that was signposted Mattenbach, if you were to count these waterfalls, should they supplant Angel Falls as the world’s tallest? At what point does this become a contest of seeing which topographic region has the highest drainages rather than the highest waterfalls (which totally depends on how you define them)? It’s also a big reason why we’ve added an additional restriction that the falls must flow reliably and with appreciable volume for at least half the year every year. Furthermore, it’s one of the main reasons why I think most “world’s tallest waterfalls” lists are mostly bogus even though we’re presenting you with such a list on this page (and this only includes the waterfalls we’ve personally seen). 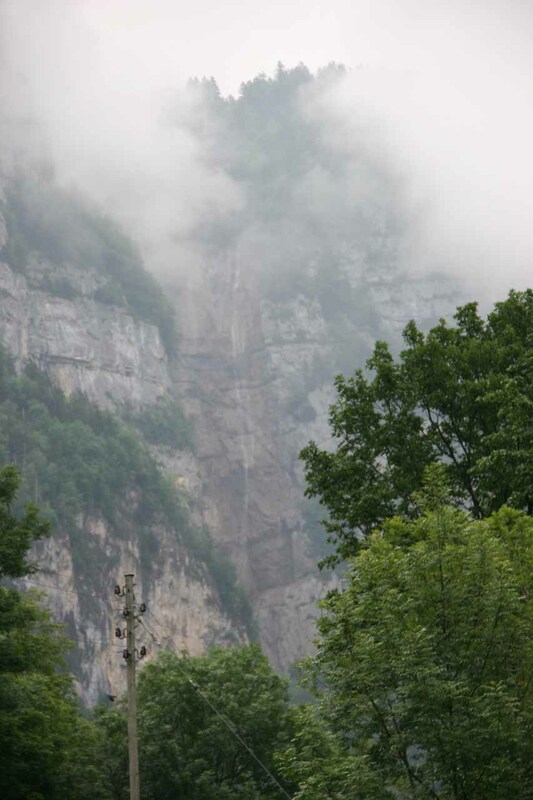 If you’re curious about the tallest waterfalls we’ve been to based on the highest vertical drop, click here.